Avengers: Infinity War – I actually saw this in its first week out, which is rare for me. I know a lot of people haven’t seen it and are going to want to, so I’ll warn you now that there are going to be spoilers here. Mind you, I think that any good movie is going to be worth seeing even if you already know what happens, especially when it’s not even in context, but that doesn’t mean I don’t get the appeal of being surprised. So, yeah, SPOILER WARNING, EVERYBODY! This is the kind of big crossover event that comics do every once in a while, tying together a lot of the loose ends and vague references from the rest of the Marvel films. Well, it’s really only half of the event, as we’re not going to get a conclusion until next year. The plot is one of those where the heroes pretty much have to keep failing over and over again, in order to make the stakes higher for the final showdown. That’s generally the case when the villain’s goal involves collecting an entire set of something. I reached the part in Dragon Quest VIII where Rhapthorne’s plan is revealed, and it’s the same sort of thing, where you keep trying to stop him but never can. Final Fantasy IV is like that, too, often frustratingly so because your characters will just hand Golbez the crystals sometimes. At least in a movie I’m not controlling the heroes, but it does mean there’s no real suspense over whether Thanos will obtain all the Infinity Stones; of course he will..
We really get to see quite a bit of Thanos as a character and why he’s so eager to gather the stones. In the comics, he’s literally in love with Death, but there’s no mention of that here. Instead, he’s trying to end overpopulation by killing half the beings in the universe, because he likes the kind of genocide that requires careful accounting. Why specifically half? Maybe it’s an obsessive-compulsive kind of thing. And is he only killing half of all SENTIENT beings? That seems to be the implication, but wouldn’t there be some borderline cases? I’m also not sure why he can’t sterilize instead of killing, but I guess we can never totally understand a mass murderer. This is a guy who sits on a throne in the middle of an otherwise bare room, who likes to torture people by breaking them apart like surrealistic jigsaw puzzles, and who turns weapons into bubbles. On the other hand, we learn practically nothing about Thanos’ followers, the Black Order. One review of the movie that I read said there was too little of each individual character, which is pretty much a necessary consequence of using that many, even when the movie is two and a half hours long. I think they did a pretty good job of giving pretty much everyone some time in the spotlight. There were a few who didn’t really have story arcs of their own, though. Spider-Man had some good lines and participated quite a bit in the action sequences, but he felt kind of tacked on anyway. 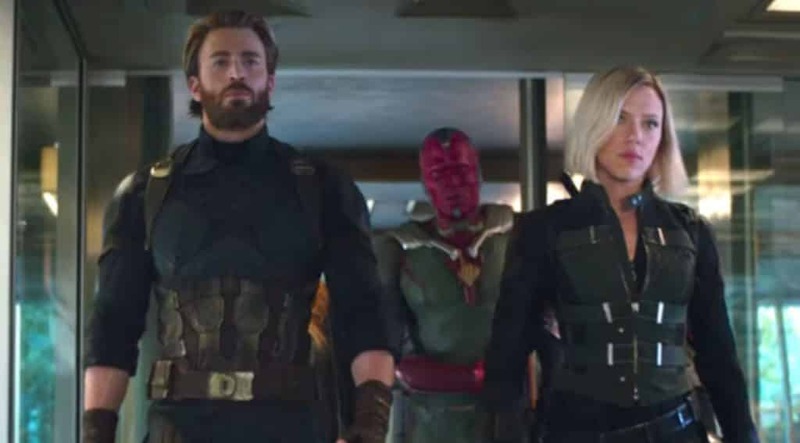 And it seems like they didn’t have any time to tell us what Captain America and Black Widow were up to at the time Thanos struck, or why Natasha has a different hair color. There were some entertaining moments with the characters meeting each other, including Star-Lord’s jealousy over Thor and the interactions between the various self-centered jerk characters: Iron Man, Dr. Strange, and Star-Lord again. I’m kind of surprised there wasn’t a story about Strange having a neglectful father as well. I also thought they might do something with Spidey and Quill both being named Peter, but they didn’t. Pepper Potts is back in a short scene, and it looks like she and Tony are still together, although he’s still Tony Stark and seems to only be capable of difficult relationships. That said, I do think it’s weird that Pepper is mad about him canceling a date after he left with a wizard and a guy who’d been missing for a few years who said they needed his help saving the world. It’s not like he just blew her off to hang out at a bar or something. The mix of genres was interesting as well, although all of the Thor films have mixed mythology with science fiction to some degree. Marvel’s back story for Mjolnir is that it was forged in a dying star, and here we see a space version of Nidavellir, the dwarf world. Eitri, the dwarf who made the hammer (sometimes called Sindri in the myths), is also here. While he’s referred to as a dwarf and even played by Peter Dinklage, he’s actually much bigger than the other characters, which I guess is just weird humor. By the way, if Thanos killed ALL the dwarves except him, doesn’t that mess with his only-half rule? Or are we supposed to assume there are dwarves living elsewhere? 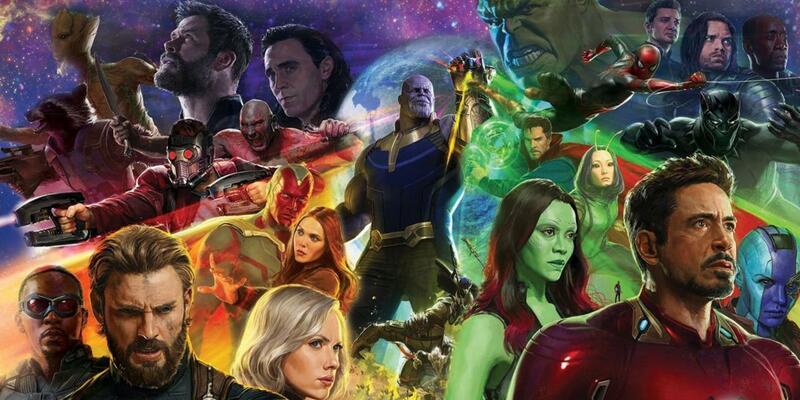 All the heroes team up to battle Thanos in the final confrontation, which takes place in a few different locations, including Titan and Wakanda. Star-Lord screws things up by pummeling the guy when Mantis is trying to calm him down. Earlier, he gets mad at Gamora for going against the plan because of her personal feelings, which results in her being captured and eventually killed. Then he does the same basic thing, only when the stakes are even higher. The heroes might not have won anyway, but still, that’s a pretty big screw-up. So, yeah, Thanos succeeds in his plan, doing away with a lot of the heroes in the process. Since some of them are slated to appear in sequels, I have to suspect this isn’t going to be permanent. If I were to hazard a guess, I’d say the deaths from before Thanos gets all the stones will be, but of course I don’t know; comic characters never seem to stay dead for long, except for Uncle Ben. Still, it’s pretty intense throughout. I wonder if the second part of this story will be a direct follow-up or some time later. I checked Wikipedia, and it says both of the two released in the interim will take place BEFORE Infinity War, so it’s not like they’re set on the half-populated world. Captain Marvel will presumably be in the sequel, though. By the way, I really hope Thanos’ attack on the ship carrying the refugees from Asgard doesn’t mean Valkyrie, Korg, and Miek were killed off-screen. They would have mentioned something like that, right? This entry was posted in Comics, Dragon Quest, Final Fantasy, Mythology, Norse, Video Games, VoVat Goes to the Movies and tagged avengers, avengers infinity war, black order, black widow, captain america, dr. strange, dragon quest viii, dwarves, eitri, final fantasy iv, gamora, golbez, guardians of the galaxy, infinity stones, infinity war, iron man, mantis, Marvel Cinematic Universe, marvel comics, nidavellir, pepper potts, peter dinklage, rhapthorne, spider-man, star-lord, superheroes, thanos, thor, wakanda. Bookmark the permalink.